The Springboks will have an ideal opportunity to fine-tune their final preparations for next year’s Rugby World Cup in Japan when they face the hosts in a historic match before the start of the international showpiece. SA Rugby and the Japanese Rugby Football Union (JRFU) announced details of the fixture which will be played on Friday, September 6, 2019 at the Kumagaya Rugby Stadium in Saitama north of Tokyo. 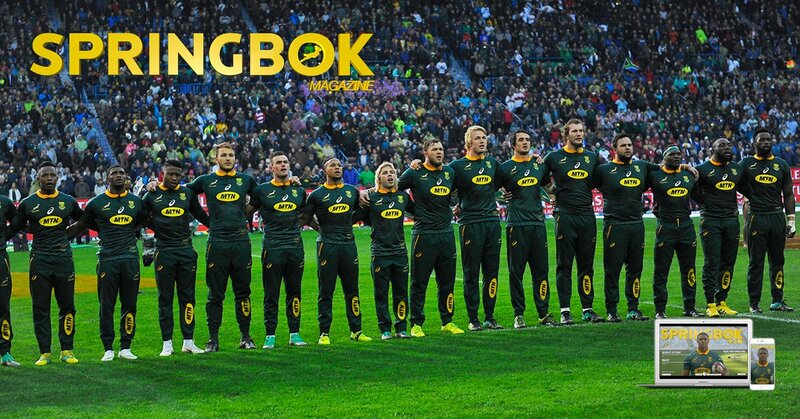 The Boks will open their RWC campaign two weeks later, on Saturday, September 21, 2019, against the defending champions, New Zealand, at the International Stadium Yokohama. “This is an ideal opportunity for the Boks to get match-ready for the Rugby World Cup,” said Rassie Erasmus, SA Rugby’s Director of Rugby. “Our initial plans were to only arrive in Japan for a pre-tournament holding camp on September 7, but thanks to the JRFU we will now be leaving a week earlier, giving us almost three weeks in Japan before the start of the tournament. Jurie Roux, CEO of SA Rugby, also thanked the JRFU for the invitation to host the Springboks. “This will truly be a historic occasion - not only will it be the Boks’ first ever match in Japan, but also only the second time ever we face the men in red and white,” said Roux. “One of the learnings from 2015 was that there was too much time without proper match practice between the Boks’ last Test, which was against Argentina in Buenos Aires, and their opening match against Japan more than a month later. The president of the JRFU, Tadashi Okamura, said Japan are very honoured to host the Springboks in their country ahead of the RWC2019. “It gives us great pleasure that the Japan national team has been given an opportunity to play against the Springboks, who has won the Rugby World Cup twice, ahead of the Rugby World Cup 2019,” said Okamura. “The match takes place at an important time when all participating teams are finalising their preparations for the RWC 2019 in Japan. After the game against Japan, the Boks will travel southwest to Kagoshima City, where their pre-tournament holding camp will take place from September 7-13, 2019.